Created using quality watercolour paper, paints and ink pens. 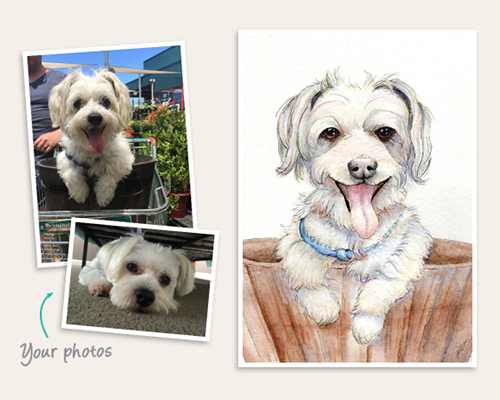 Simply upload a photo of your pet during checkout or email it to [email protected] and I’ll get started. Available in A3, A4 or 10x8inch sizes. Free shipping for Australian locations. 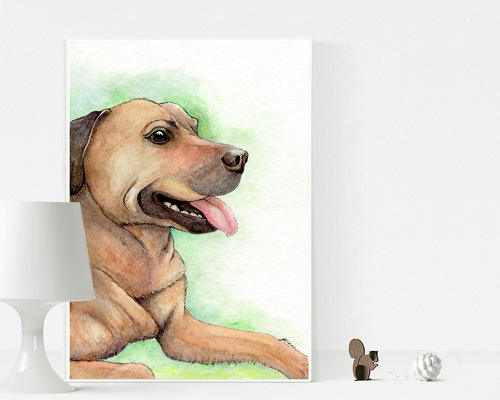 These hand-made, custom pet portraits are made to order and 100% unique (just like your pet!). Perfect for gifts, as a tribute, or as a treat for yourself and your best mate. Created using high quality watercolour paper, paints and ink pens. Include a good quality reference photos and artwork size when you place your order. You can email extra photos to [email protected] after placing your order. My illustration style utilises light, bright tones, however you can choose a colour which I can add in to match your colour scheme. Include your preference in the notes section of the Cart. 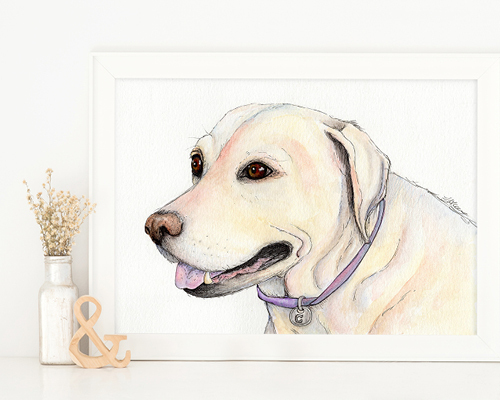 Artwork is unframed but is made to sizes which are easy to purchase in any framing outlet so you can choose something which perfectly matches your home. Shipping time: 1-3 days (may be sooner depending on location). Shipping is FREE in Australia. 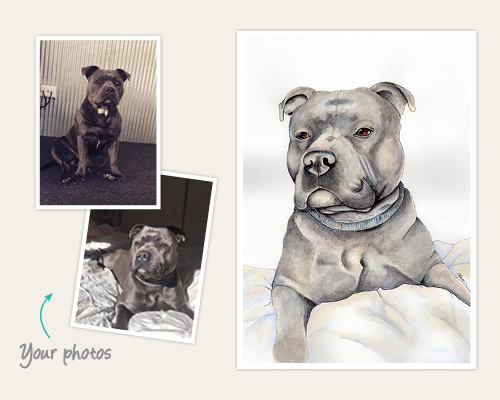 After receiving your order, I’ll send you an order confirmation then get started on your illustration. You’ll be emailed a photo of the artwork prior to postage. If you have any questions, feel free to email me at [email protected]. This is for a custom artwork based on your supplied reference photos, not the purchase of the examples shown. Frame and accessories in images are not included – for display purposes only. Artist retains rights to use photographs of artwork for advertising purposes. 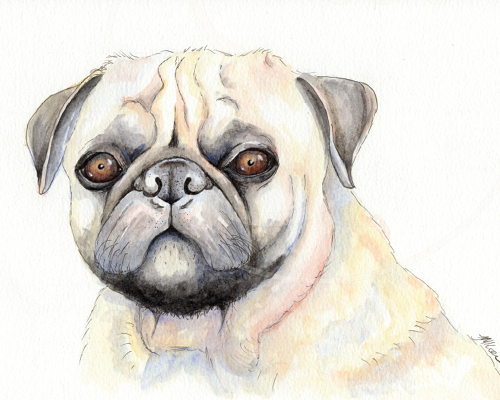 Please note that while I aim to create a piece as closely as possible to your subject/reference photo each artwork is a complete original, and is created using a personal illustrated style (ie. the style is not photo realistic) and so will therefore will take on it’s own look and feel. As each piece is custom made, exchanges and refunds are not accepted.